The Wilderness Tourism Association of British Columbia (WTABC) supports BC’s world-class wilderness-based tourism operators. Sector specific issues including forestry stewardship, pipelines, land tenure, and open-net salmon farms. Comprised of Wilderness Tour Companies, DMOs, and Wilderness Tourism Industry Experts, WTABC assists tour operators to address threats and opportunities helping them thrive. In order to have a strong and sustainable wilderness tourism industry we need to have a robust industry organization with independent funding. We can only achieve our goals of protecting the land and water resources that support our businesses, and securing access to high quality opportunities and experiences if we have a strong stakeholder base of wilderness tourism operators from every area of the province. 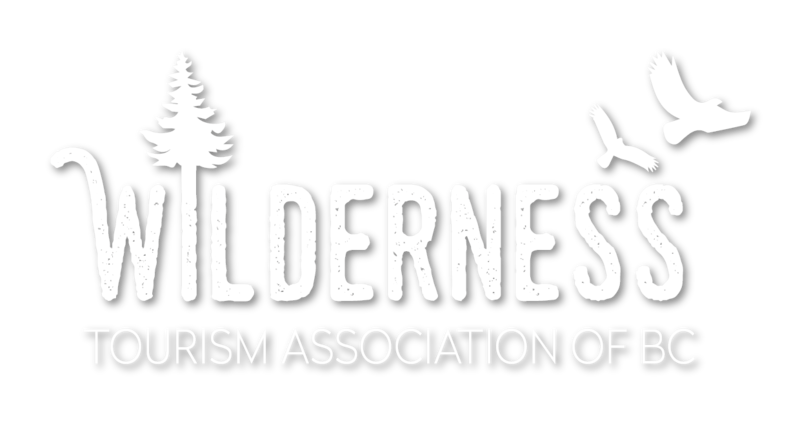 Join the Wilderness Tourism Association and help support a strong and sustainable wilderness tourism industry by protecting the land and water resources that support our businesses. Learn, network, and achieve success with other industry stakeholders, and stay ahead of today’s tourism industry opportunities and challenges. As a voting stakeholder of the WTA you will support a dynamic organization representing both the individual and the collective interests and concerns of BC’s wilderness or nature based tourism industry. Wilderness tourism, also known as nature based tourism, rural tourism, or commercial backcountry recreation, adventure tourism or ecotourism, is a key contributor to BC’s GDP and a significant private sector employer in BC. 26,000 direct full-time jobs and some 40,000 jobs in total. These figures do not include the billions of dollars in tourism supply services (hotels, restaurants, transportation, etc) that the sector supports. The quality of BC’s wilderness is an important factor for travelers choosing BC as a tourism destination. Although only a percentage of tourists may experience BC’s wilderness firsthand, they come to BC because of our wilderness reputation. Most tourism services, including hotels and motels, even in urban areas, derive some portion of their income from visitors attracted by the natural beauty and attractions unique to BC. The Wilderness Tourism Association of British Columbia will work to ensure a sustainable future for BC's wilderness tourism industry through leadership, advocacy and stewardship. The WTABC organization is based on a stakeholders model. Stakeholders include businesses, sector associations, Regional, City and Community DMOs, as well as industry associates such as industry suppliers and educational institutions. In the spirit of environmental stewardship, wilderness tourism operators are adopting practices that will ensure the sustainability of the industry and the natural environment on which wilderness tourism depends. The activities and purposes of the Society shall be carried on without purpose of gain for its members and any income. Profits or other accretions to the Society shall be used in promoting the purposes of the Society. Copying, reproduction or duplication of images, logos, graphic elements and written content is strictly prohibited.